We ran out comfortable winners on Saturday morning, smashing 4 without Cumbrian reply, at a frigid Gawthorpe. With the U-23 game versus Rovers looming large on the horizon, we expected to see some lads missing. So it was, and with the lion’s share of our loan rangers currently being back at the club it was predominantly defensive cover that the more senior side were in need of. 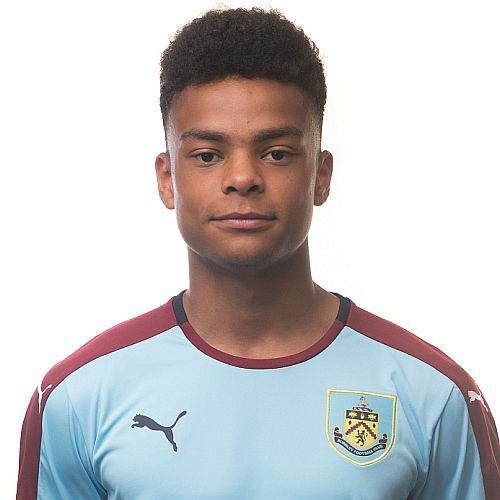 James Clarke and Oliver Younger were training with the dev squad along with Tinashe Chakwana, and this meant that Scott Wilson was partnered in the centre of defence with right back Billy Grogan. With Chakwana out of the side, Olatunde Bayode found himself up front with Tommy Wood. We started strongly and had a good chance in the opening minute, forcing the Carlisle keeper into a smart double save at the front post. We settled into a period of good possession after the hectic start and found ourselves fairly well bossing the game. Just before the quarter hour mark we took the lead. Bayode was put clean through with half of the pitch to run into and he went one on one with the keeper, who stood up well to block his effort. The ball spun up and away, being collected by Wood who fired in a shot which too was saved. However, this time when the ball popped up it was onto the head of Bayode on the baby line and he nodded home. We should have doubled the lead soon after as Tyler Shrimpton found himself unmarked in the box. However, the shot from the midfielder was a little too close to the keeper and he made another good save. Carlisle briefly rallied and forced a couple of corners that rattled Connor King in the Clarets goal. On 25 though we did double the lead with some good attacking play on the right with Tristan Jumeau ending as a cross was put in low, with everyone seeming to stand and watch. Everyone that was except Dwight McNeil, who ghosted in through a static defence to poke past the keeper from close range. It should have been 3 just a couple of minutes later as a delightful Bayode ball to the Wood at the far post was shoveled over. We did grab the 3rd just before half time and Wood will be hoping that he can claim the goal but I think he may be unlucky. In the area he had the ball down and smashed it off the near post, seeing it rebound and hit the keeper on the back, before finding the net. The 2nd half was minutes old and we had an opportunity to grab a fourth as McNeil played Wood into the box and the big man was brought down. Wood himself stepped up but the keeper guessed right and kept it out. Carlisle were buoyed slightly and broke quickly, seeing an effort drift wide. It was just a brief flurry though and we soon took control once more. McNeil had a good chance after a great run. Wood also hit the post with a flashing drive across goal. A major talking point then arose (well for us on the touchline anyway) as Burnley made a double change. Shrimpton and Jumeau were replaced by RJ Pingling and Kian Yari. That in itself was not strange, but soon after we made another double substitution as Waz Mpofu and schoolboy Dan Moss replaced Grogan and Ali Koiki. We were all perplexed. 4 subs in a game? How had the ref allowed this? Had everyone lost the plot? Apparently at youth level you can now make 5 subs, so panic over. Anyway, back to the game, and on the 60 minute mark we rounded off the scoring as McNeil slipped a great slide rule pass up to Pingling and the powerful forward ran on and slid home to give us the final score of 4-0. Team:- Connor King, Leighton Egan, Ali Koiki (Waz Mpofu), Scott Wilson, Billy Grogan (Dan Moss), Miles Fenton, Tyler Shrimpton (Kian Yari), Tristan Jumeau (RJ Pingling), Dwight McNeil, Olatunde Bayode, Tommy Wood.